"We shape and are shaped by where we live." 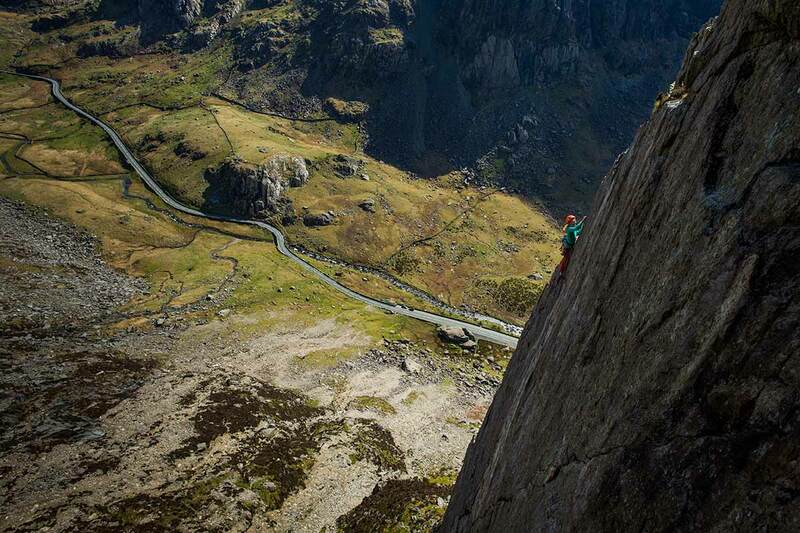 BC photographer Jordan Manley set out to capture the unique identity of rock climbing in the UK. He brought back a vision that connects land to building to human movement and culture. Traversing a country’s roadways can be a great way to recognize subtle but significant patterns in the landscape, both human and environmental. In an age where it has become desirable to think and eat locally, it is interesting to see that ‘build locally’ was the order of the day hundreds of years ago. Last spring, I spent two weeks searching out climbing zones with British Mountain Guide Chris Ensoll and Arc’teryx athletes Katy Whittaker and Mina Leslie-Wujastyk. Over thousands of kilometres, zig-zagging from North Yorkshire, to the Lake District, to the Peak District, to North Wales, to the Isle of Skye, and finally, to the Old Man of Stoer on the high Scottish coast, I asked climbers that we met what made UK climbing so unique? Young and old, weekend warriors, camper van dwellers, and veritable legends, with a single voice they answered: It’s the diversity. Each time we made our way through a new township or shire, the ubiquitous dry stone walls that shaped the roadsides also appeared in the surrounding buildings. Built in part to keep sheep out of traffic, the drystacks were a form of art, a live geology. This relationship was a kind of lithic telltale, and it became a predictable rhythm where the built landscape inevitably gave way to unsculpted stone outcroppings. Observing the relationship between people and their naturally occurring and built structures. Watching her move up a nearly featureless arc was to discover the gift of precise body positioning, the imaginary line in space where there is just enough friction to overcome gravity. Quarries, crags, outcroppings—are these natural or human landscapes? After observing the relationship between people and their naturally occurring and built structures, I was left with the feeling that they are as equally historical and cultural landscapes as they are natural. We shape and are shaped by where we live.